Nature is being seriously threatened by the human species. Therefore, the conscientious person must act to reverse this situation or expect negative efforts from our poor actions. In a fight against this area’s own damage, 50 volunteers implemented a clean-up day at Playa Langosta, in the framework of International Surfing Day´s celebration. The effort was launched by Andres Bermúdez who integrated for the task the Non-Governmental Organizations (NGO) The Clean Wave, Surf Rider Foundation as well as Eco Ruta, a group that oversees Tamarindo´s recycling service. Additionally, he was supported by students of the Liceo de Villarreal, the Chamber of Commerce and Tourism of Tamarindo, and the Cala Luna Hotel. According to www.ecologiaverde.com, micro plastics “are a real source of ocean pollution, mainly contaminating the seas”. 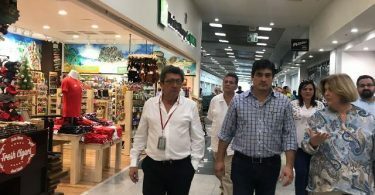 Bermúdez stated that the cleaning activity included the gathering up of all types of waste (paper, aluminum, plastic, glass, styrofoam and others). The troublesome micro plastics were collected and handed over to the renowned local artist Malu Moreira, who will create an art piece with the material. “The core idea associated with the artistic work is to communicate through art the problem of micro plastics in the oceans; nevermind that the funds produced by the sale of the work will help The Clean Wave´s cleaning campaigns,” said the owner of Eco Ruta. Carolina Sevilla was present in the cleaning-up activity and she is internationally acknowledged for being the founder of the 5minutesbeachcleanup campaign (5 minutes of beach cleaning) — that has more than 30,000 followers on social media. Subsequently, these actions developed in Playa Langosta represent a first step for a change on behalf of the environment. Sevilla, who leads the Latin American department within Bionic Company, has said that the company is eager to transform the plastic that pollutes the oceans into something more than waste. “For instance, we are able to change plastic into fabrics that are utilized by well-known clothing brands, such as H&M and Gap, among other labels. Bionic is currently close to opening the first recycling center for oceanic plastics, which is a pilot project that could be reapplied worldwide,” Sevilla said. Young, professional surfers such as Tomas King and Federico Pilurzu, attended the cleanup activity in Playa Langosta. Both athletes form part of the VISSLA team, a surf brand that carries out several campaigns in favor of sustainable development as well as manufactures clothes with recyclable organic plastic and coconut fibers. Thiago Leão, a member of the new generation of junior surfers, also participated in the beach cleaning. 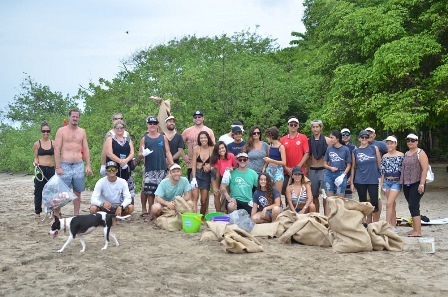 Hernan Imhoff, President of the CCTT, said that these cleanup days should be carried out regularly in order to make use of volunteering efforts, and join the endeavors of formal and informal organizations that work in Tamarindo. The Surf Rider Foundation in Tamarindo already schedules a regular monthly cleanup, and these efforts can only enhance those. “The issue of clean beaches is crucial for us because they are the most attractive resource for national and foreign tourists. 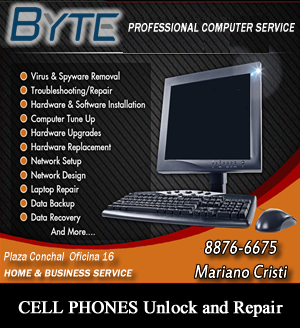 Fortunately, the area has a long history of successful projects in the matter,” the President of the CCTT explained. In the past many organizations in Tamarindo, such as the CCTT, developed similar actions to undertake comparable initiatives: the elimination of Aedes Agypti mosquito breeding sites, the saving of water as well as the promotion of the arts, among other efforts.